In Texas, we have made oil and gas and conservation and wildlife and agriculture work together for many, many years. As an agricultural land trust, part of what we try to do is help figure out how to make conservation easements and oil, gas or mineral development work,” says Blair Fitzsimons, Executive Director of the Texas Agricultural Land Trust. TALT was founded in 2005 and currently has about 128,000 acres under permanent conservation easements, which is their specialty. In September 2011, they held an Oil & Gas Webinar addressing the “triage process” a landowner has to go through to determine if they can do an easement and have mineral development. In working with landowners, they start from the premise that IRS regulations say owners can have oil and gas development on their property as long as no long-term permanent damage to the surface occurs. This is more tricky than it sounds in the Lonestar state. 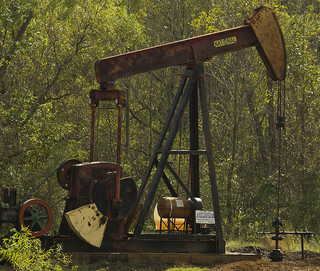 Texas law allows surface and subsurface mineral rights ownership to be severed. It’s possible for someone to own surface rights plus all mineral rights, surface rights with no mineral rights or surface rights with partial mineral rights. Furthermore, the state of Texas says that mineral rights trump surface rights. This means that for the case in which a surface owner does not own his or her mineral rights, and they are leased out, a conservation easement is probably a non-starter. Thus, TALT’s process in working with landowners who want both both conservation and oil, gas or mineral development is essentially a decision tree. In the Oil & Gas webinar, TALT leads the landowner through these various scenarios - with an eye to facilitating the best decision for the landowner and the property. 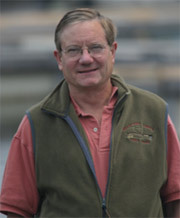 Another critical element in deciding whether to pursue a conservation easement is the lack of detailed guidance or criteria from the IRS defining for landowners “no long-term damage to the surface.” For these reasons, to quality for an easement, TALT generally advises that a landowner have a good degree of influence, if not outright ownership, to control the way mining development occurs on their property. TALT currently holds a couple of easements with active drilling. The key to these easements, Fitzsimon contends, is making sure the landowner has a good surface use agreement with the oil or mineral company that dictates how the company will reclaim the surface and which will protect the conservation values of the easement. TALT asks landowners to consider issues such as road construction, in which layout - or even innovative techniques such as the use of pallets in place of gravel - can minimize long-term erosion. Another recommendation is to keep drilling pads associated with mining equipment out of the riparian zone. careful attention to the removal and replacement of topsoil in the right order.